The Vinery Hair Salon: Hair Surgery Blog - Product Build Up! So last week was quiet on the hair surgery front…but this week Brent has kicked things off with a question about products. A: Hi Brent thanks for your question. I wouldn't necessarily suggest changing your hair styling product, particularly if you really like the way it holds your hair, but what you may need to do is change your shampoo. It is very common to get a build up of product on the hair, especially if you use that same styling product every day but don't actually wash your hair every day. Most Gents prefer to keep things looking as stylish as possible with minimum effort and we understand this! You need to opt for a shampoo that really cleanses that excess product out without damaging or stripping away the natural oils.  We would suggest using something like Alterna Bamboo's Deep Cleanse Clarifying Shampoo - this is a great organic product that does exactly what it says it will do and that's providing a great deep cleanse of the hair shaft. You should find that after washing your hair with a Deep Cleanse Shampoo that your product glides on and you lose that sticky unclean build-up that you found so frustrating!